Does Flue Steam Inc. meet the NFPA and CMC Requirements? 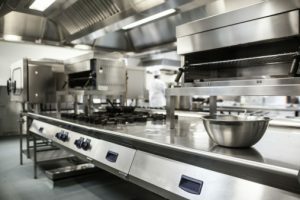 If you’re a manager in a commercial kitchen, one of your most essential duties is making sure you comply with all federal and state regulations. If you let this slip, you could be facing serious fines and may even have to close for awhile, losing valuable revenue and tarnishing your restaurant’s reputation. Don’t risk it! Begin your partnership with Flue Steam today. Flue Steam’s services meet all NFPA and CMC requirements to the letter. After cleaning your kitchen exhaust system, our technician will place a “Certificate of Performance” sticker showing the date of service, the service frequency, and whether any inaccessible areas exist in your exhaust system. We recommend you keep this sticker on your hood to prove that you’ve fulfilled all your code obligations. What’s especially great about scheduling all our commercial kitchen air control and fire prevention services with Flue Steam is that we provide complimentary bonus services, too. During every regularly scheduled cleaning, we’ll also inspect your exhaust fan, belts, and other parts to make sure they’re in proper, safe working condition. If any of them are in less-than-ideal condition and you have extra parts on hand, we’ll be happy to install replacements at no additional charge. Our safety is our #1 priority, so we want to make sure your exhaust fan is drawing properly so your exhaust system stays cleaner longer. We’ve been serving commercial kitchens throughout Southern California for over 40 years. During that time, we’ve developed a solid reputation or reliability and complete customer satisfaction. 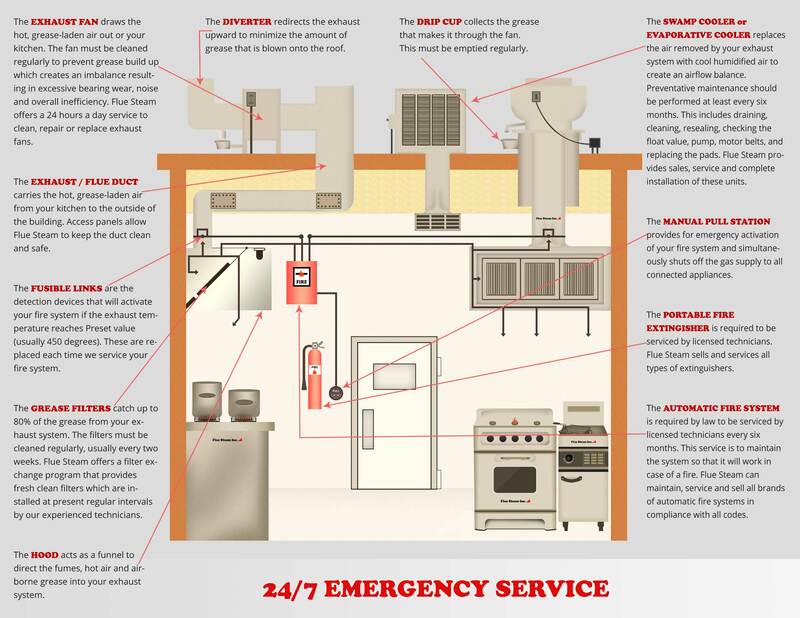 We’re always happy to customize our services to meet your commercial kitchen air control and fire prevention needs. Our mission is to make sure your commercial kitchen complies with all government regulations, reduce the risk of costly and dangerous fires, and provide a safe an environment for your employees and customers every day. Now is a great time to call Flue Steam. Let’s talk! We want to hear about how we can make your life easier and your commercial kitchen safer. Call us at 800-700-FLUE or email us at contact@fluesteam.com to get started today.